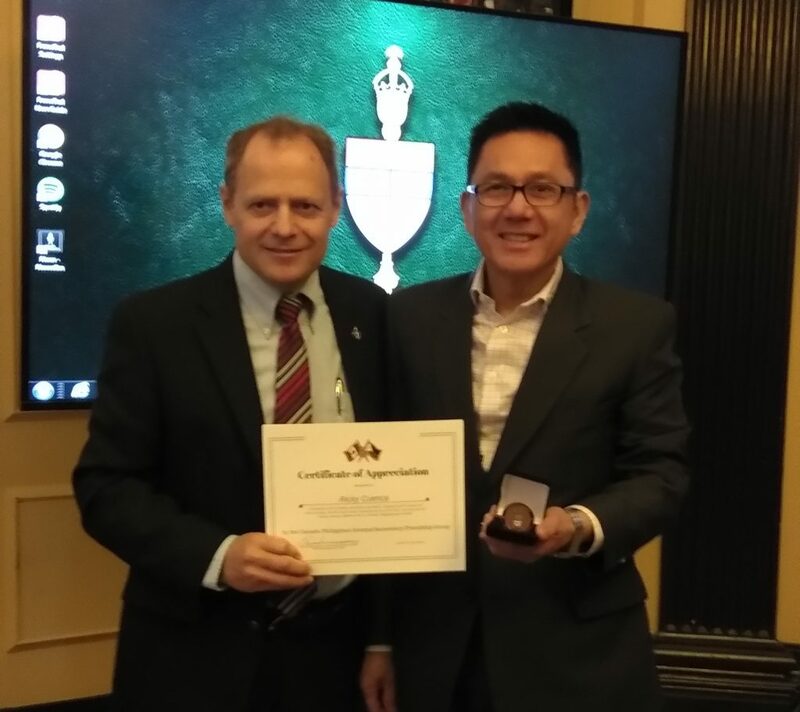 This morning, October 18, 2018 at Parliament Hill in Ottawa, ANCOP Canada was invited to speak to a select ministers of the Canadian parliament through the invitation of MP for Winnipeg North and recent visitor to the Philippines, MP Kevin Lamoureux, who also is Parliamentary Secretary to the Leader of the Government in the House of Commons. 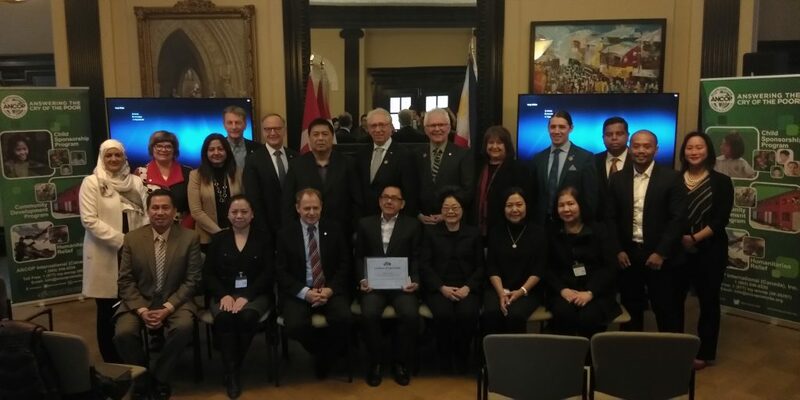 ANCOP Canada and Ricky Cuenca then received the Certificate of Appreciation from Canada’s House of Commons for its work for the poor. Together with Raymund and Manette Acero, Irma Cuenca, MP Kevin Lamoureux awards two certificates to Ricky Cuenca and ANCOP Canada. 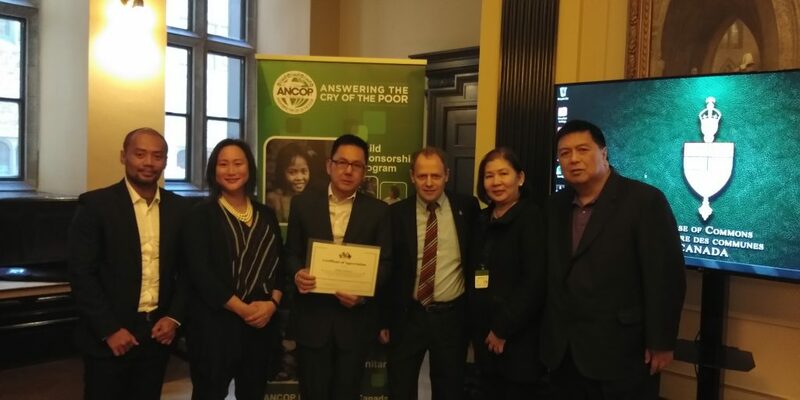 Preceding the awarding, ANCOP Canada was able to present its work for the poor, highlighting its global reach to 10 countries including Canada, through its Child Sponsorship , Shelter and Community Development and Humanitarian Relief Programs. 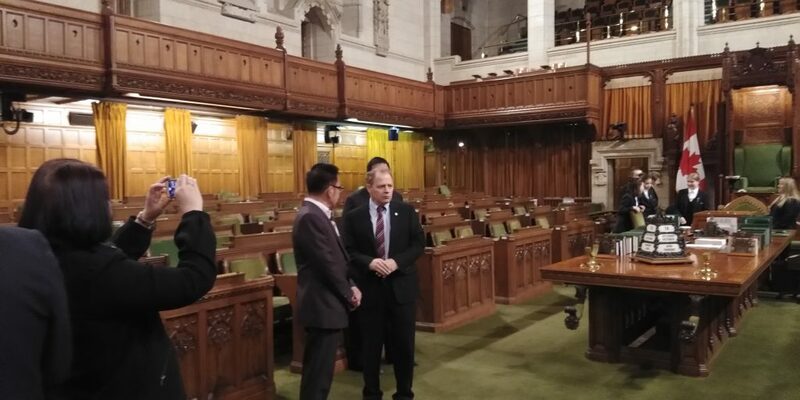 Ricky Cuenca and ANCOP Canada are being honored and awarded with a certificate from the House of Commons. The Ministers of Parliament present this morning included MP Kevin Lamoureux Member of Parliament for Winnipeg, MP Salma Zahid, Member of Parliament for Scarborough Centre, MP Gary Anandasangaree, Member of Parliament for Scarborough-Rouge Park and Parliamentary Secretary to the Minister of Canadian Heritage and Multiculturalism, MP Jean Yip, Member of Parliament for Scarborough—Agincourt, MP Sheri Benson, Member of Parliament for Saskatoon West, MP Sonia Sidhu, Member of Parliament for Brampton South, amongst others.